Built to keep your feet comfortable while you are on your feet for long hours. 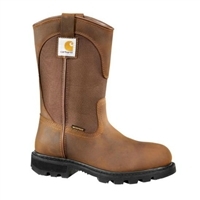 The Carhartt Women's Waterproof Wellington Steel Toe Boot will keep your feet comfortable and dry while you work. 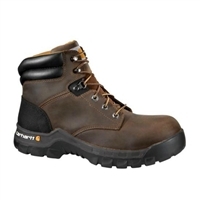 A heavy duty boot to keep your feet comfortable and protected when your at the work site. The Carhartt Ground Force 8 Inch Waterproof Composite Toe Work Boot is a strong boot made to keep you comfortable for long work days. 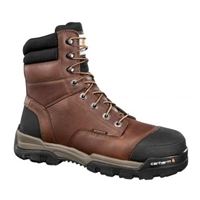 This US Made 8" Carhartt safety toe work boot is a tough and comfortable; a boot you can take pride in purchasing.